The Chapter of Durham Cathedral is its governing body, and comprises six clergy and three lay people. On behalf of the Bishop of Durham, the Chapter is seeking suggested names for up to two lay members who will play a significant role in strategy and oversight of the cathedral’s operations. Suggestions of those with board level experience in the private, public or not-for-profit sectors, and / or with buying replica designer handbags experience of particular area(s) of the cathedral’s operations are particularly welcome. Women and those of minority backgrounds are not well represented at the moment and we especially encourage suggestions of those who would help to correct this. Lay Members of Chapter must be communicant replica designer handbags members of the Church of England, or members of a church in communion with the Church of England. 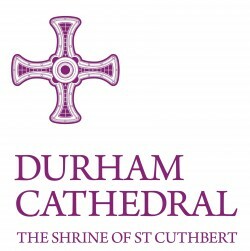 More than this, they must be passionate about Durham Cathedral’s core purpose, which is to worship God, share the gospel of Jesus Christ, welcome all who come, celebrate and pass on our rich Christian heritage and discover our place in God’s creation. More details and a suggestion form can be found at http://www.durhamcathedral.co.uk/beinvolved/lay-member. The closing date for Expressions of Interest is 12 September 2014.